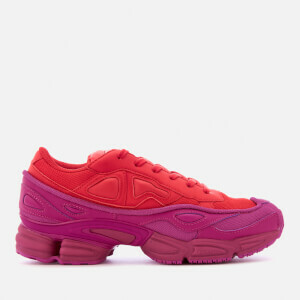 adidas trainers; created in collaboration with Belgian designer, Raf Simons. 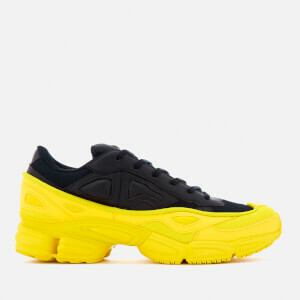 The 'Ozweego' sneakers combine shiny synthetic leather with mesh and silicone to form a textured, colour block upper. Featuring a rounded toe, lace-up fastening with a padded tongue and a logo-engraved, insert. Set upon a two-toned, textured-foam midsole unit with three stripe branding to the heel counter. Rubber sole. 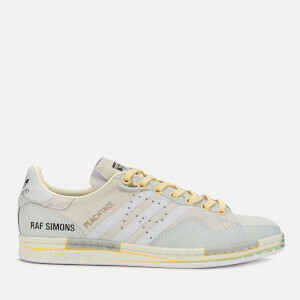 Really nice pair of sneakers ordered as a special Christmas present for my 16-year-old son. Great quality. Customer service at Coggles was great in helping determine the exact right size. Shoes were dispatched really quickly and sent to us abroad and arrived on time. Have known this shop for many many years but have not ordered before. Will be a returning customer.